Have You Been Charged With Drinking And Driving With A Minor In The Car? New York Takes The Safety Of Our Children Seriously And You Can Be Facing Grave Consequences! FIGHT YOUR LEANDRA’S LAW OFFENSE WITH AN EXPERIENCED CRIMINAL LAWYER! Let Us Help You Keep Your License and Stay Out of Jail! DO NOT PLEAD GUILTY TO A VIOLATION OF LEANDRA’S LAW! Not every state has special traffic laws and penal codes for child endangerment. New York, however, does. In fact, it is one of only 36 states that do have special child endangerment traffic laws. )Because of this, New York State will impose tougher sanctions against individuals who put children at risk by driving under the influence of alcohol or drugs. Being convicted of violating Leandra’s Law is a serious crime. Even for first time offenders, this conviction is a felony. On top of the financial burden an offender may face, they are also looking at the loss of their driving privileges, incarceration, and much more. If you have been charged with violating Leandra’s Law, contact The Law Offices of Michael H. Ricca P.C. today! Every day you wait, the outcome may become bleaker than the day before. In October 2009, an SUV crashed on the Henry Hudson Parkway in Manhattan. While 7 children were in the vehicle, for 11-year old Leandra Rosado, the crash proved to be a fatal one. The driver, a mother of one of the other children, was found to be driving under the influence of alcohol. While she eventually pled guilty, it was a fatality that was completely avoidable. From this senseless tragedy, however, meaningful legislation was borne. Championed by Leandra’s father, the Child Passenger Protection Act was signed into law by the Governor in November 2009 and has since become known as Leandra’s Law. In New York, driving is a privilege, not a right. To help keep our roads safe, New York has established a Vehicle and Traffic Law (VTL). Leandra’s Law was enacted as Section 1192 (2a)(b) of the VTL. However, in order to better explain the increased consequences of a Leandra’s Law conviction, it is important to describe the potential issues other VTL 1192 violations may create. The VTL applies to all traffic areas. This includes things like speeding, moving violations, and other topics related to roadway safety. However, Section 1192 of the VTL specifically governs alcohol/drug-related driving offenses. A first DWAI offense is considered to be a traffic infraction. Potential consequences include a $300 to $500 fine, up to 15 days in jail, and a 90-day license suspension. If you are impaired by drugs, VTL 1192(4) increases the punishment for a DWAI. A first-time conviction for DWAI with drugs is a misdemeanor. Consequences include a 6 month license revocation, up to 1 year in jail and a $500 to $1,000 fine for your first offense. In order to be charged with a DWI, a law enforcement officer will need to administer a chemical test. This will test your blood alcohol content, or BAC. For those who are under 21 years or age, a BAC of 0.02 percent will violate VTL 1192(2). For those who are 21 and older, however, a BAC of 0.08 percent will net a VTL 1192(2) charge. For commercial drivers, however, a BAC of 0.04 percent is considered a DWI violation. If you are 21 or older and convicted of your first VTL 1192(2) violation, it is a misdemeanor. As such, you will likely receive up to 1 year in jail and a mandatory 6 month revocation of your license. You can also be fined $500 to $1,000. If your BAC is found to be 0.18 percent or higher, you will be charged with an Aggravated DWI. This is a misdemeanor if it is your first offense. However, because it is more severe than your standard DWI, the consequence are a bit tougher. For a first time VTL 1192(2a)(a) conviction, you will face up to 1 year in jail. You will also be subjected to a mandatory 1 year license suspension and a $500 to $2,500 fine. As stated above, Leandra’s Law specifically targets those drivers who endanger the welfare of their child passengers. In order to be charged with this, you must have a BAC of 0.08 percent while a child under the age of 16 is in the vehicle. Your first conviction is a Class E felony. As a Class E felony, you can be subjected to up to 4 years in a state prison if the child was not physically harmed during the incident. Your license will be suspended pending the outcome of your court case. If convicted, your license will then be revoked for up to 1 year. Potential fines can range between $1,000 and $5,000 for your first conviction as well. Alcohol is not the only way to impair your ability to drive. Drugs can as well. The use of drugs, alone or in combination with alcohol, will greatly increase the potential negative consequences of a conviction. 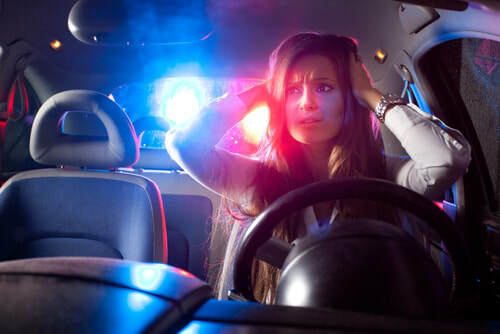 Contact an attorney immediately if you have been charged with a DWAI, DWI, or Aggravated DWI as a result of alcohol consumption, drug use, or a combination of the two. Comparing the above laws and their consequences already shows you that a single conviction can be quite costly. Not all VTL 1192(2a)(b) offenses will cause an accident that harms the child(ren). However, some do. In these cases, VTL 1193(1)(c) enhances the associated penalties for those who injure or kill a child while driving while intoxicated. For incidents where a child was harmed during a violation of Leandra’s Law, your first charge is no longer a Class E felony. In fact, if a child was injured while you were driving while intoxicated, your first conviction will be a Class C felony. As such, this is punishable by up to 15 years in a state prison. If a child was killed, a conviction will result in a Class B felony being added to your criminal record. If found guilty, your first offense could net you up to 25 years in a state prison. However, prison is not the only thing you have to worry about if convicted of a violation of Leandra’s Law. With the passing of Leandra’s Law, New York became one of the first 10 states to require the installation of an Ignition Interlock Device (IID) for a first offense. As a mandatory requirement, the driver will be responsible for the cost of the device, as well as any other associated fees, such as a monthly subscription or the cost to switch the unit between vehicles. If you have been ordered to use an IID, failure to do so is a Class A misdemeanor offense. As such, you can be jailed for up to 1 year for driving without a properly installed IID. Assisting an offender with circumventing the IID is also a Class A misdemeanor. This means, if you help your loved one start the car by blowing into the device, you too can be jailed for up to 1 year. In most cases, a court will order a convicted offender to use the IID for at least 1 year. In some cases, the court will permit the device to be removed after 6 months but substantial proof is required. However, depending on your probation and particular circumstances, this order can be in effect for much longer than 1 year and in some cases it is ordered for the entire term of probation. In addition to prison, IIDs, license suspension or revocations and fines – those who are charged with a violation of Leandra’s Law face yet another consequence. If you are a parent, guardian, custodian or are legally responsible for the welfare of the child passenger, the arresting agency is required to report the charge to the Statewide Central Register of Child Abuse and Maltreatment. A conviction for a violation of Leandra’s Law has serious repercussion that can last a lifetime. Any Aggravated DWI charge will stay on your driving record the rest of your life. As a result, any other driving infractions or convictions will be considered more harshly. In some cases, your driver’s license can be permanently revoked. Unlike a suspension, which is temporary and has a start and end date, revocations completely cancel your privilege to drive. Some revocations come with a set period of time, however, you must then apply for approval before proceeding to re-apply for a new license. Others will be permanently denied, leaving you without the privilege to drive for the rest of your life as a New York resident. But as a felon, your conviction will create more barriers than you might realize. You may not have intentionally harmed anyone with your poor choice, however, the world can be an unfriendly place once you become a convicted felon. If you held a job, you may be fired. If you are looking for work, you may find yourself continually rejected due to your new criminal record. This can create a financial nightmare on top of any fines assessed by the court and DMV. If you apply for college, loans, or housing – you may also find yourself being rejected. In addition to this, you may find yourself losing custody of your child depending on your situation. For example, if you are in the middle of a custody dispute, the court may award physical custody to the other parent based on your felony and decision to endanger your child. Being convicted of, or pleading guilty to, a violation of Leandra’s Law creates a lifetime of hardships for those involved. Before resigning to a lifetime as a felon, consult with The Law Offices of Michael H. Ricca P.C. As humans, we are all going to make mistakes. Some may be more egregious than others, however. The Law Offices of Michael H. Ricca P.C. is here to help you if you have been charged with violating Leandra’s Law. Endangering the welfare of a child is never a good decision. Depending on the circumstances of your case, Mr. Ricca can help turn a bad decision into a life-lesson instead of a life-changing event. Just because you have been charged with violating Leandra’s Law, it does not mean you will be convicted. Having the right representation is your best chance of reducing the consequences, if not beating the charge outright. As a law office that focuses on traffic law and criminal defense, our expertise is carefully honed to fit the needs of a Leandra’s Law violation. The Law Offices of Michael H. Ricca P.C. has helped clients make the best of the situation they are in. While it would be irresponsible to promise you a clean slate, Mr. Ricca strives to ensure you have the best outcome possible given the specifics of your case. In addition to this, Mr. Ricca only takes the cases his workload can support. This means your case gets the attention it deserves, without having to compete with the needs of other clients. When faced with a felony charge, this level of attention makes a significant difference in the outcomes. When you hire The Law Offices of Michael H. Ricca P.C. to represent you, you can count on receiving the best outcome possible based on your individual charges. Every case is unique. From circumstances and facts to expert evaluations and witness reports – The Law Offices of Michael H. Ricca P.C. has the experience, knowledge, and tenacity that you need. A tireless ally during your time of need, The Law Offices of Michael H. Ricca P.C. will be by your side every step of the way. From the initial charge through any resulting court trials or pleas, Michael H. Ricca strives to help you get the best possible outcome. If you have been charged with violating Leandra’s Law, contact The Law Offices of Michael H. Ricca P.C. today!